I had a great time as the “mystery reader” for my son’s first grade class this morning at Buckner Elementary (that’s my son sitting by me-at least he’s not old enough for Mom to embarrass him yet). 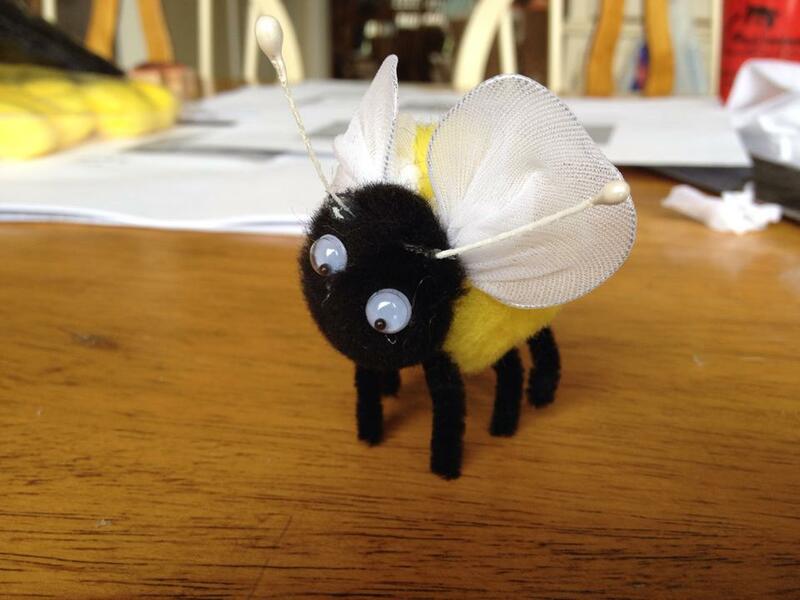 I read Fuzzy Buzzy’s Treasure to them and gave every kid a cute pom-pom bee. 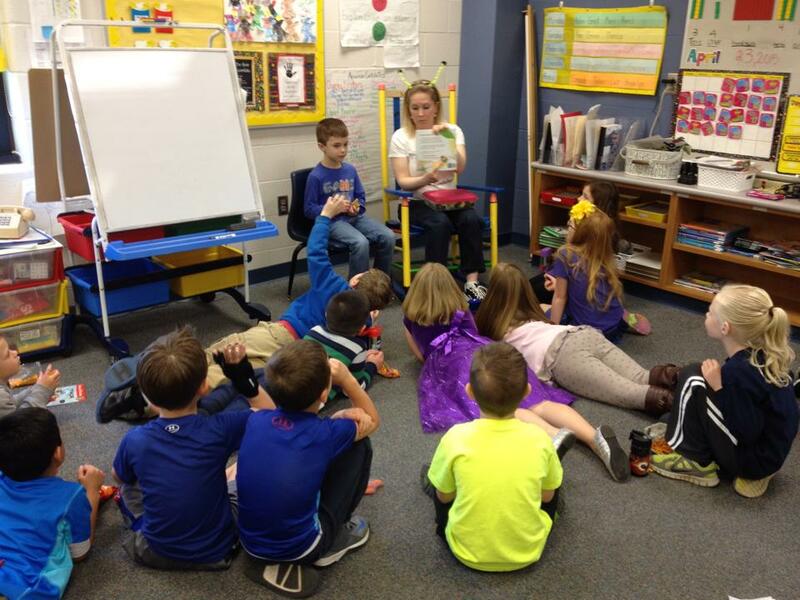 The kids loved the story and had lots of questions/comments. A great big thank you to all the kids, to Mrs. Carter and Mrs. Collins for letting me share today. 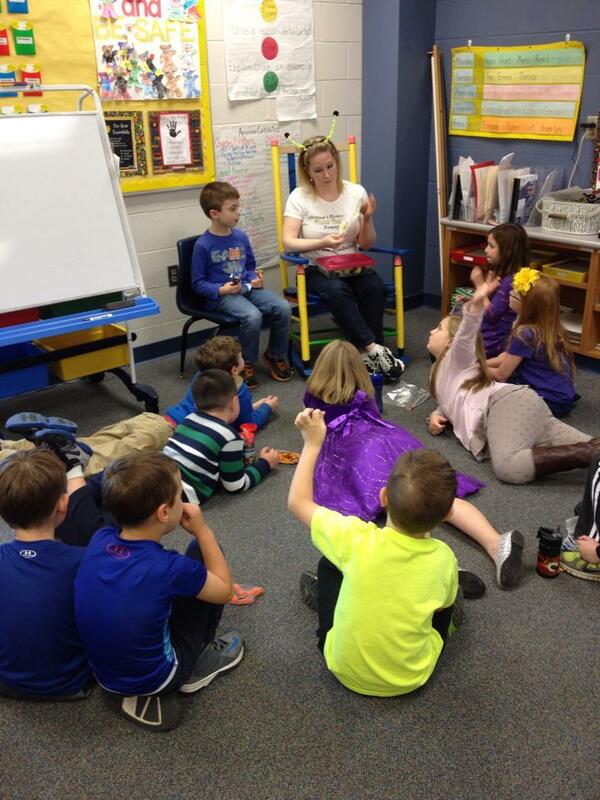 I got to be a guest reader for my son’s kindergarten class as well…it’s so amazing! I loved it and missed being in a classroom!